Experience a British First World War trench in immersive, virtual reality. 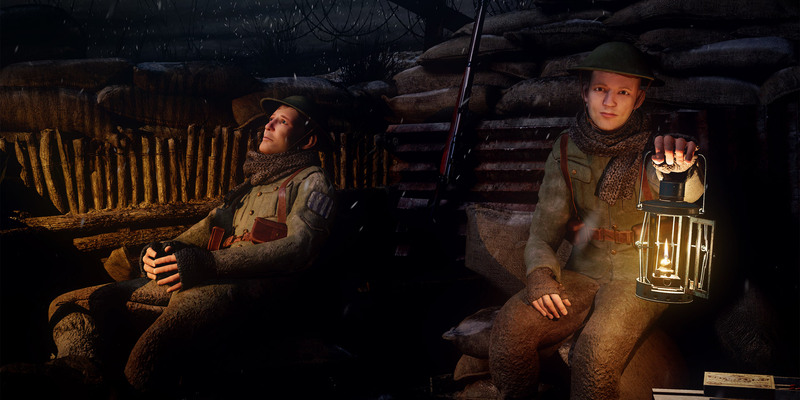 Three Lights is an interactive, wartime drama about a group of British soldiers on the Western Front in 1916, a month after the Battle of the Somme. Put on the HTC Vive Pro virtual-reality headset and become part of the story in a unique and immersive way. Experience the muddy trenches, the terrible conditions, and the hopes and fears of the men who were there. After your VR experience, see the objects you saw in the story come to life with our free First World War object-handling sessions. Learn more about the typical daily life of a soldier and get hands-on with historical artefacts from our collections. VR sessions run from 10am to 3pm and are available in 10-minute timeslots. This prototype experience has been developed by Electric Skies, a company specialising in VR for the museum sector.